When dressing for work, I always reach for classic pieces that can add a little sparkle to my outfit. 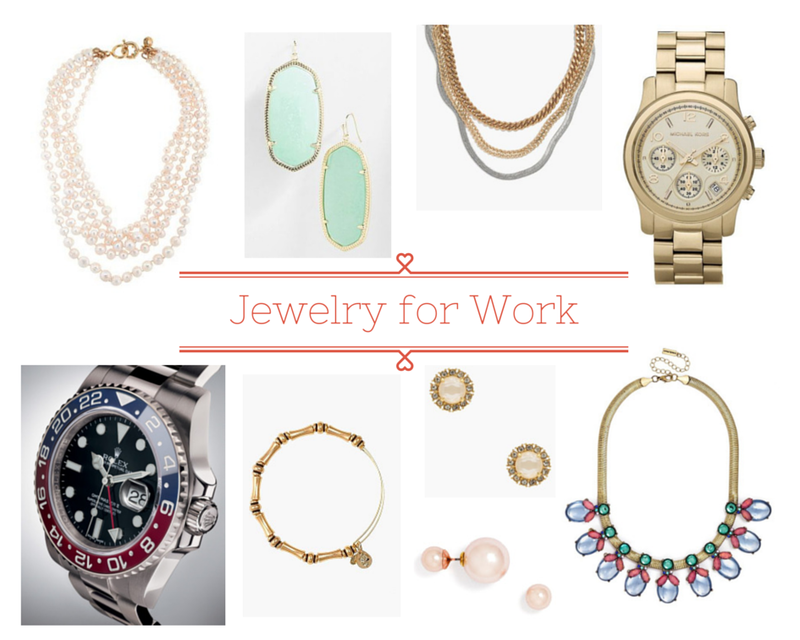 Things like pearls, gold chains and statement watches can be all you need to look polished and ready for the day. Above are a few of my old and new favorite pieces to wear to work. What are your favorite pieces to wear to work?